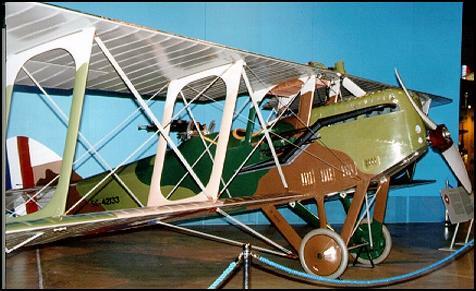 Designed during 1917 by Captain Georges LePere, a French aeronautical engineer working for the U.S. Air Service, the LUSAC 11 was the result of efforts to get an American built fighter into combat as soon as possible. The acronym "LUSAC" stood for LePere United States Army Combat. Designed to be a combination fighter and reconnaissance aircraft, it carried a pilot and an observer/gunner. The aircraft was designed by LePere to perform as well as if not better than similar combat aircraft then in use. Captain LePere, along with several other French aviation engineers, began work on the new design in January 1918. The Packard Motor Car Company of Detroit, Michigan provided design and fabrication space and additional engineers. The first of three prototypes was completed on April 30, 1918. It was then flown to Wilbur Wright Field, Ohio for flight tests. These tests began on May 15 and were flown by several test pilots who were generally satisfied with the LUSAC 11's performance. The Bureau of Aircraft Production ordered an initial production run of 28 more aircraft, with future orders totalling 3,525. Armament: Two .30 cal. Marlin and two .30 cal. Lewis machine guns. Engine: Liberty 12 of 400 hp.